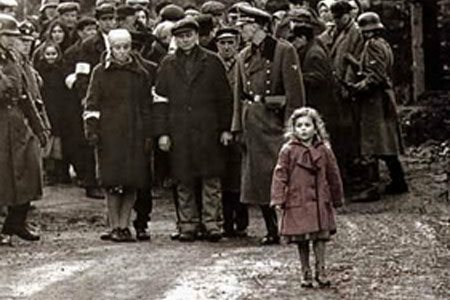 One of the most historically significant films of all time, Steven Spielberg’s Schindler’s List is a powerful story whose lessons of courage and faith continue to inspire generations. 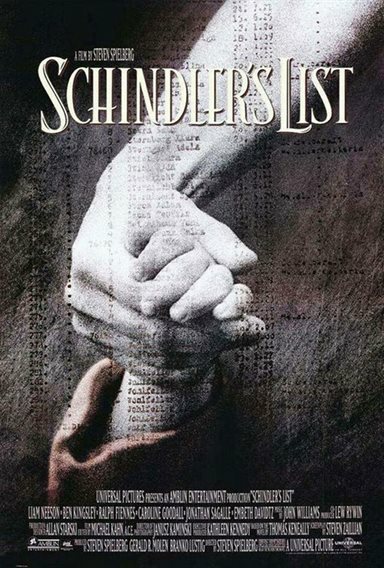 Winner of seven Academy Awards® including Best Picture and Best Director, this incredible true story follows the enigmatic Oskar Schindler (Liam Neeson), who saved the lives of more than 1,100 Jews during the Holocaust. It is the triumph of one man who made a difference and the drama of those who survived one of the darkest chapters in human history because of what he did. 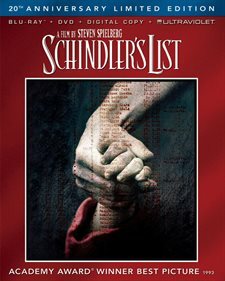 Download Schindler's List in Digital HD from the iTunes store. 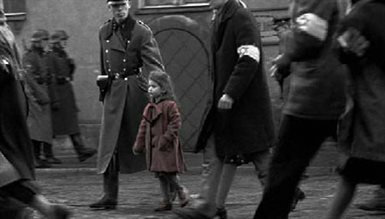 Schindler's List images are © Universal Pictures. All Rights Reserved. 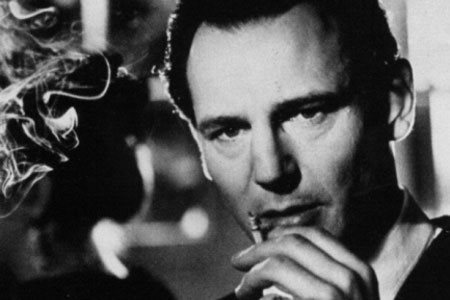 One of the most important films of the century, Schindler's List has been released on Blu-ray in a 20th anniversary box set. This masterpiece of filming takes you into the heart of the tragedy of the Polish Holocaust from the masterminded takeover of a country not equipped to resist to the camps, extermination showers and a smidgeon of hope that rises to the top. This by no means is a testimonial, but a warning how one power crazed man can rise to lead his country and do so much destruction to mankind. 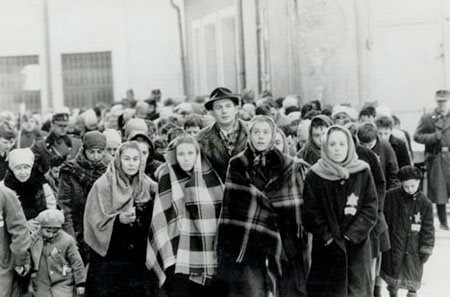 Filmed in realistic black and white, the movie takes on an ominous air showing the ghettos set apart for Jews from the rest of the Polish population. We are witnesses to the contempt that turns them into prisoners to the point of dehumanization and not just adults who may resist, but children as well. This was not a war tactic, but a personal vendetta by Hitler. Rounded up and taken to the camps the helpless people were made to be work slaves and caretakers of the German Army. Seeing the debauchery and enslavement, a German industrialist Oskar Schindler (Liam Neeson) sees an opportunity to advance his wealth and alleviating some of the inhumane treatment by using the Jews as labor in his factories. Treading lightly on his reasons, he makes the German Army officials believe that without the factory the troops will suffer. As he slowly gets involved with his new employees he starts to realize that gaining their confidence is an important factor to output. When labor camp Commandant Amon Goeth (Ralph Fiennes) starts killing the Jews and interfering with his progress, Schindler starts to sympathize with his human laborers, taking dangerous risks to keep to Jews from harm. The acting, direction and black and white cinematography are extremely good depicting the dehumanization from start to the ‘final solution'. While Liam Neeson's portrayal of the persuasive Schindler shows a thin line of some goodness during the six years of savagery, it's Ralph Fiennes' delivery of the wicked commandant that sums up the contemptible evil set upon a godlike people who were singled out due to a personal vendetta. Spielberg has been honored for his bringing this film to his audiences by receiving Oscars for Best Director and Best Picture in 1983, but his true legacy from this film are the lessons to be learned and the hope that no nation ever turns against any moral ethnic group, religion, belief or human rights whether abroad or in their own country. While the film does give a harsh realization of what went on in the ghetto, camps and extermination ovens, the point of the film that's embodied in man's inhumanity to man runs clear and pronounced in the special bonus features. "VOICES FROM THE LIST"- One of the most amazing special features ever to be added on behalf of a film, this one hour testimony to the actual holocaust does more for any true narrative ever presented on the screen. From the mouths of actual survivors, combined with captured video and photos we get a first hand view of the reasons why there was not much resistance by the Jews, the underlying factors that contributed to the easy takeover, the contemptible methods applied and the lessons that we can take away from this important film. The following are a few of the quotes from 10 of the survivors that say more than we could ever imagine. "In 1937 I remember hearing talk about Hitler." "Something was ominous because everybody was concerned. The older people were concerned and talked in hushed tones, and listened to the foreign broadcasts on the Telefunken radio"
"We never expected that something like this could happen to our country, Poland. We believed in our Army and we thought that our Calvary can defeat the German tanks. It was naïve, very naïve." "There was a heightened feeling of something going to happen. Feeling that things weren't gonna be so good for the Jews." "The new regulation came out limiting free movement for the Jewish people. We were not allowed to use public transportation and we were not allowed to use any educational facilities." "We were not allowed to walk on the sidewalk"
"At the end of 1939 were told to wear the white armband with a blue Star of David. I felt very scared because we were marked." "The grown-ups were wearing them, and it was taken as, well the war isn't going to go very much longer, so if we Jews have to wear armbands that's okay." "All the savings accounts in the bank were closed by the Germans. We couldn't touch our money." "I lost my sense of security. It was totally replaced by the beginnings of fear." "They invaded the homes and arrested the people for political reasons." "We were still hoping that it would be over like a bad dream. No one could believe it could go on forever." "How could all this be happening and nobody is doing anything about it." "They were dragging people, kicking and pushing them. People who could not walk fast enough. They kicked them and shot them on the spot." "They took some of the children…. (I could not write this sentence for the article, because it is so appalling)." "Those that remained in the Ghetto were all murdered." "If such a cultured country like Germany, known for her music for high education, for respect. If they could have done this to another nation, any other nation could do this. Don't take nothing for granted. Anything could happen"
There are many, many more comments that open eyes to the awful happenings aligned with the movie, including words about Commandant Grothe, treatment in the camps and other inhumane recalling. Please listen carefully to Stephen Spielberg's final comments where he talks about the importance of this short feature and how hatred is born and grows and what it can destroy. Other bonus features include: "USC Shoah Foundation Story with Steven Spielberg" and "About IWitness"
The video quality of the Blu-ray presentation has been ramped up since the DVD release of 2004. Although the purposeful grain to mirror captured footage of actual events still remains, the blacks are blacker and the whites brighter. The 1080p with an aspect ratio of 1.85:1 High Definition presents the film completely filling 16x9 television screens. The DVD that's included gives a very good presentation in black and white as well using the same aspect ratio with widescreen, but takes both discs to show the whole feature. Included on the second DVD disc are the special bonus features listed in this article. The Blu-ray audio quality far exceeds anything released on previous DVDs of the film. Crystal clear and allowing for side and rear effects, the dialogue, gunfire and music are transferred to your home entertainment system without distortion. With the DTS-HD 5.1 capability you can hear a pin drop. From the opening scene of the frivolity in a night club to the closing somber moments the transfer from theatrical to home entertainment systems runs true. 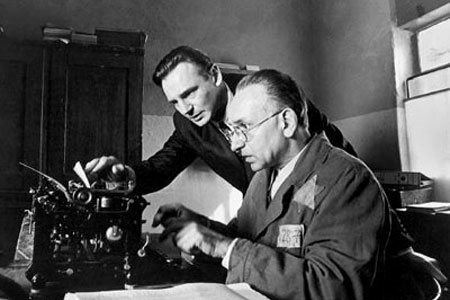 Schindler's List images © Universal Pictures. All Rights Reserved.